This book is very helpful in understanding the prolife position of the abortion debate. 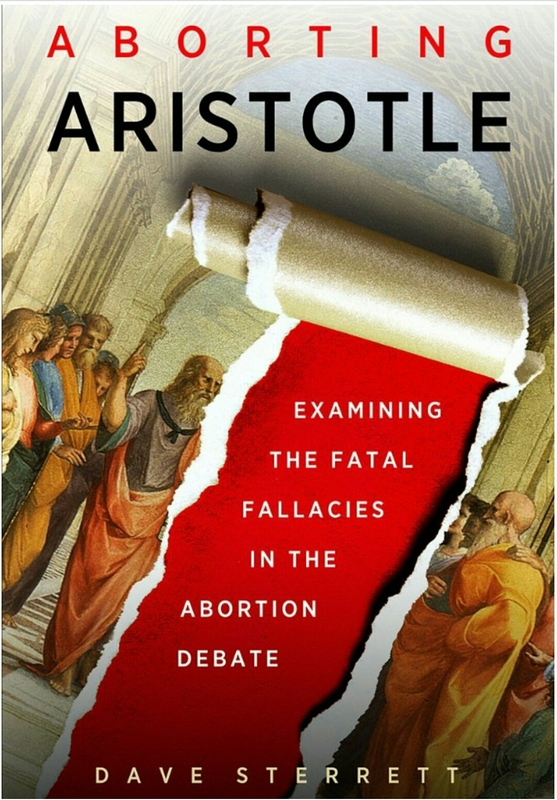 What makes it worth reading is that it doesn’t just pile on some religious rhetoric for why babies should be valued, but Sterrett does an excellent job of taking the very words of prochoice advocates and showing the lack of solid foundations to many of their arguments. There is nothing like taking the very arguments of your opponent and deconstructing them until there is a pile of ethically-bankrupted ideas laid bare for all to behold and flee from. If a major aspect of philosophy is to think well, then Sterrett shows why it is of the utmost importance to think well before making a decision on the abortion debate. It is true that ideas have consequences, therefore, any idea accepted in public, be that in a place of law or a doctor’s office, should be evaluated for its reasonableness. Unfortunately, the rationality of an idea is sometimes not fully thought through or cared about in contrast with what ranks highest on an imaginary scale of what makes some people happy or satisfied, as opposed to seeking to do what is ethically right. Also, new ideas tend to push aside older, more traditional ways of thinking when the newer ideas seem to go with the mood of modern times, but as Sterrett explores in this book, that is not always a good thing. Especially when it comes to the philosophical work done by thinkers, such as Aristotle and Aquinas, it is ultimately a crime to adapt to just push aside the groundwork they have done in the realm of metaphysics and ethics. Although science has come a long way since the time of Aristotle, it has not necessarily done away with his thinking on what is rational and what is virtuous to society. Therefore, if empirical data shows that there is life beginning at the formation of a zygote in the study of embryology, then why does it seem to be irrational to many that others consider abortion to be morally wrong? Mr. Sterrett points out that for many, on both sides of the aisle, life begins at conception. Peter Singer, an ethicist and a defender of abortion, was to have written: “…there is no doubt that from the first moments of its existence an embryo conceived from human sperm and eggs is a human being. (p. 2 – in the Introduction)” So, if Singer can see and science can show when life starts, the problem is not a matter of what is physical, but what is metaphysical. We now get into reasons behind thinking of human beings as persons or if there are distinctions to be made about ‘personhood’ that the pro-abortion thinkers may believe are not intrinsic to unborn children. In this book, particularly in the 8th chapter, we see how personhood may be viewed by those who oppose the views of prolifers, but have a hard time giving a time when human beings ‘develop’ their personhood or what personhood entails inside of a pro-choice ethicist’s ontological viewpoint. This book was a great read and a helpful one at that. If a person (like myself) is a bit if a novice at some of the philosophical language, you may have to get a good dictionary or not be afraid to do some reach on the Internet. Besides possibly struggling with some concepts out of a lack of knowledge of them, there is plenty of information in these pages that encourage some rational reflection on Aristotle and others and their thinking on what it means to be human and the value in being human, whether fully aware of one’s self or not. Sterrett’s work should be given to every pro-life advocate to strengthen their arguments and convictions about life; it should also be given to those of the pro-choice movement to help them thoroughly know if reason is on their side. I believe their eyes would be open to the truth that reason and truth are with the opposing team.